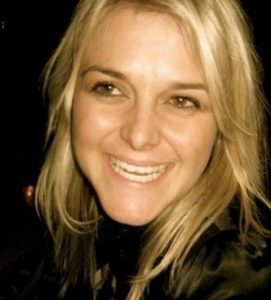 Today’s Pro Interview features Lara Pascoe, Chief Marketing Officer at IntegrationWorks, in Melbourne, Australia. Pagezii – Lara, please tell us a bit about yourself. Lara – I got into marketing and publicity at the start of the GFC in 2008. I’d just graduated from University with my very expensive degree, to be told that the entire economy had collapsed and there were absolutely no jobs for anyone anywhere! After applying to thousands of jobs with no avail, I started approaching companies in the area and offering marketing, business development, and publicity services. My first client was an earthmoving equipment hire company, so I created marketing campaigns, publicity content, design and event material for them. Ask me anything today about 14-ton excavators or Kubota excavation buckets and I can tell you all about it! From there I grew my experience across many channels and industries. After a number of years globe-trotting, I landed the role of Chief Marketing Officer at IntegrationWorks, working across the New Zealand and Australian offices. Pagezii – What is IntegrationWorks? Lara – IntegrationWorks develops leading enterprise integration solutions for businesses going through a digital transformation. With the pace of technology change, businesses these days are frequently evolving their IT systems and infrastructure. This change requires integration of their old legacy applications and data to their new systems – whether it be on-premise – i.e. non-cloud, migration to SaaS or PaaS environments or building a hybrid cloud environment. Additionally, the rapid opening of new digital and mobile channels i.e. Digital wallets requires legacy systems to be re-engineered so they can share data with web-portals or mobile applications. The team at IntegrationWorks include integration consultants, architects, developers, testers and DevOps staff that create solutions to these technical problems and work with customers to drive their digital transformation strategy. Pagezii – What are the challenges in managing a global marketing team? Lara – With the rapid growth of the marketing team across three geographies in under a year, the main challenges we’ve incurred are time zones and communication. To combat both issues we’ve implemented daily stand-up calls via Skype for Business where we share feedback, troubles and week-in-progress reports while documenting it on a wiki page. I’ve found that focusing the team on key goals and values creates cohesion and management ease – for example, “Always Learning” is a team culture value that we work towards. The theory is to encourage staff to keep on top of changing marketing technologies, to study our evolving markets, learn integration architecture basics or seek out creative marketing campaigns. This results in an engaged and forward-thinking team, that is excited to share their learnings and grow from one another. Pagezii – What online channels work the best in marketing to an IT crowd? 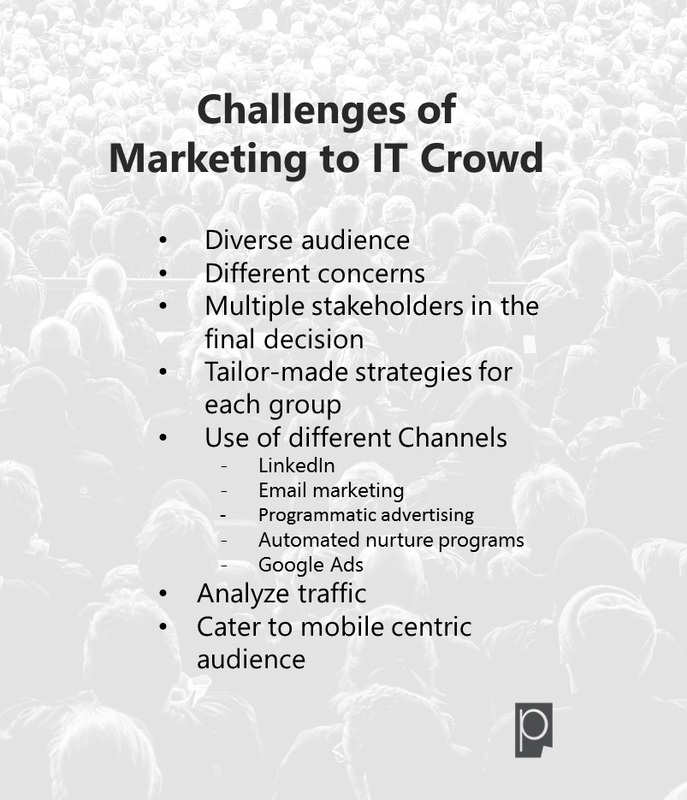 Lara – Marketing to a technology crowd is an interesting challenge! Your main audiences span from serious technology enthusiasts to corporate CIO’s that are concerned about business process or revenue management. Each person in the chain plays a role in the decision process; whether they be an influencer, technical validator or purse-string holder so we have different strategies for each group. The main channels that we do work on include LinkedIn, segmented EDM, programmatic display, automated nurture programs, and Google Ads. Once we have an identified target account or key individual, we use some simple growth-hacking tools to analyze traffic, execute remarketing and scrape data that kick-starts the sales process. Our audiences are very mobile-centric too – so we develop content, design, and conversion rate optimization strategies to secure quick B2B leads, that are then transferred to our sales team. Pagezii – How has your international experience helped you as a marketer? Lara – There is nothing that grows your worldview more than traveling! I’ve worked while traveling to many places, which has helped me develop an understanding of different work cultures, as well as skills to learn audience motivations quickly and use that to create targeted marketing strategies. I’ve worked as a journalist in India and Canada, an HR officer in Dubai, house-manager in France and a Recruiter in New Zealand. In the very multi-cultural world of IT, it’s these experiences that allow me to connect with people from all over the world on a personal level, and through conversation and listening, I’m able to draw out key information that shapes a successful marketing campaign. Pagezii – Thank you, Lara, for a very interesting and informative interview.